Soft play contains sponge backed synthetic leather cover for a soft feel. Comes in a variety of colors. Volley-Lite white volleyball with Sensi-Tech cover. Regulation size but lighter weight allows those age 12 and under to develop their skills. Sensi-Tech@ soft synthetic cover for just the right touch. Tomorrow's Olympians will be playing today with the Volley-Lite. 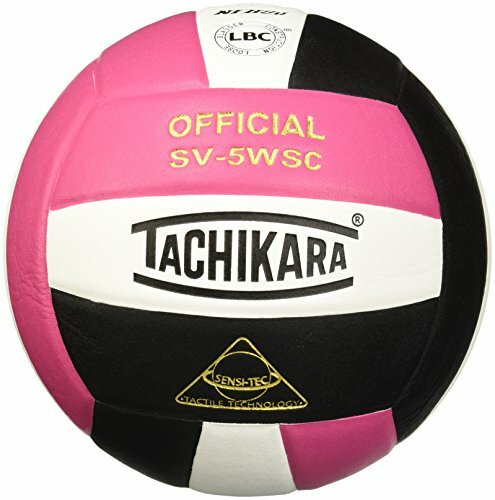 The Tachikara SV5WSC Sensi Tec volleyball is designed to deliver you a soft touch, performance, and playability. Tachikara is a world leader in advanced manufacturing methods and innovative materials for athletic balls. Established in 1915 and incorporated in 1920, the company s name is derived from Tachikara-Ono-Mikoto, better known as the "God of Power" in Japanese mythology. In 1952, Tachikara revolutionized the sporting goods industry with new technology to produce a seamless ball. It was in this era that Tachikara pioneered their proprietary Single Unit Construction method for manufacturing athletic balls to improve the spherical shape, air retention, rebound, and overall durability. In the years to follow, Tachikara s relentless pursuit to perfect a symmetrical and responsive ball through testing and research further positioned the company as a true leader in advanced designs and technology. For many years, Tachikara has enjoyed finding its way into the hands of the world s top athletes and are committed to staying at the cutting-edge of design, manufacturing, materials, and supply of innovative and quality products. 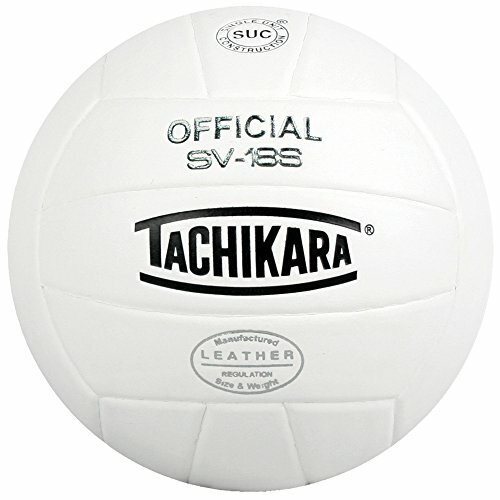 Tachikara's SV-18S institutional composite leather volleyball is an economical choice available in team colors. Single unit construction with a Butyl bladder for durability. Now featuring our improved woven-fiber 'v100' composite material over a select cotton reinforcement to provide a soft and consistent touch. 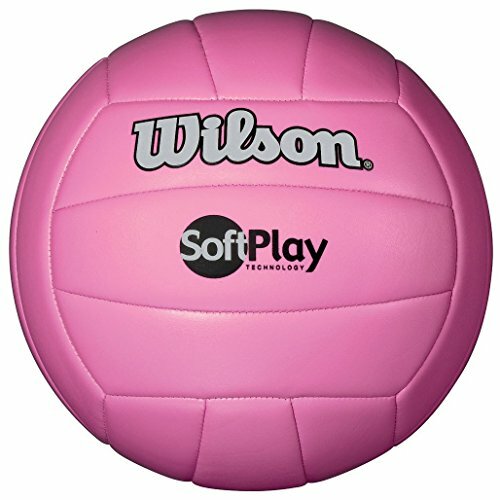 Built using our durable Single Unit Construction method makes it an affordable and reliable volleyball in several team colors." These balls have been specifically developed to reduce "sting" when the ball is struck. This user friendly soft shell design enables the player to focus on the game and the skills needed to excel in the sport of volleyball. As an added benefit these "pillow soft cover" volleyballs are also waterproof. 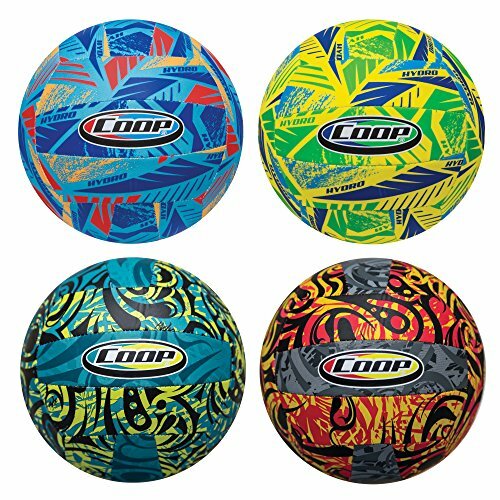 The Coop Hydro Volleyball is an 8.5-inch official size volleyball ball that just happens to be wearing its own wetsuit! 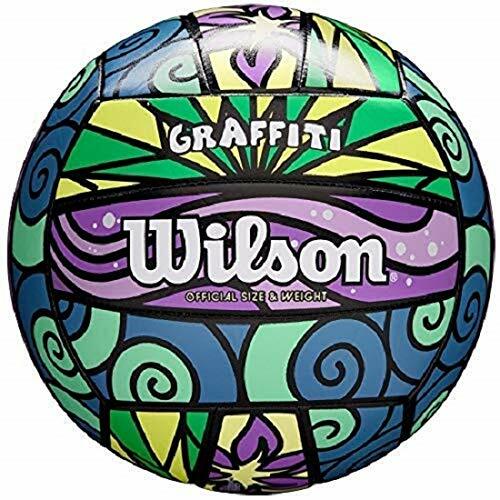 This recreational volleyball ball is 100 percent waterproof for play in all conditions, including the pool and at the beach. 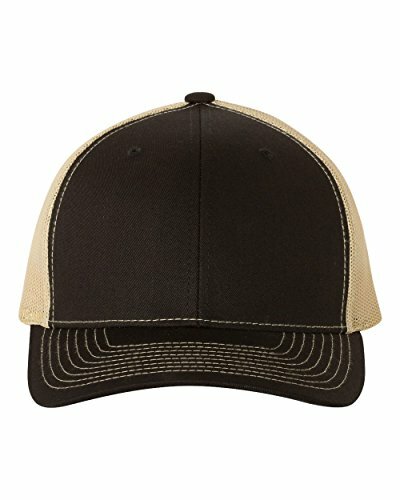 The soft cover makes contact with skin virtually stingless, and the signature on-trend Coop patterns and colors make waves in and out of the water. Floats for easy retrieval during gameplay and will not absorb water. Heavy-duty stitching and durable air retention bladder provide consistent performance. Sold individually. Colors and styles may vary. For kids age 5 and older. 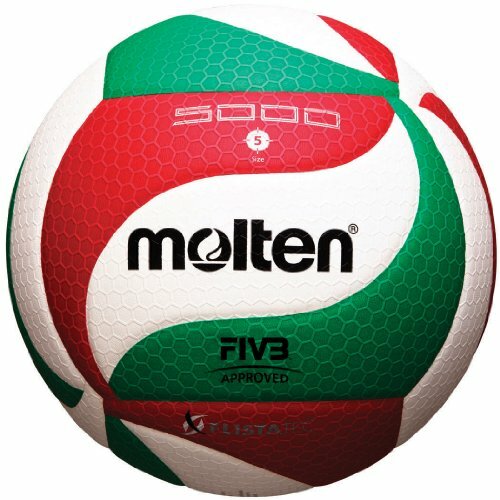 The Molten FLISTATEC Volleyball is the official volleyball of USA Volleyball, the NCAA Men's Volleyball Championships, and is FIBA approved - making it the ultimate choice for numerous collegiate conferences and programs across the nation. Expect exceptional, top of the line performance including increased visibility, enhanced flight stability and more accurate overhand passing and sets. By optimizing the air-current around the ball in flight and enhancing grip, Molten's FLISTATEC Flight Stability Technology delivers athletes the control and consistency that they demand with every contact. *Product ships deflated. Light up LED Volleyball, much brighter than glow in the dark! Beach Volleyball isn't only an outdoor sport anymore, so who says it only has to be a daytime sport? Wait they fixed that when they took it indoors too. Well for the lucky people who live in areas you can play on the beach year round we say get out at night! All the others Turn out the lights already. This ball was made to be played with in a serious way, not that you have to be serious. The LED in our new Volleyball is extremely bright so you won't lose it. Fully Water resistant for water play. With our Smart LED technology (don't worry it doesn't talk back yet) this ball is really a ball to play with. The lights come on when you tap it, so bump, set or spike your way to a great time with some LEDs. GlowCitys LED Light Up Volleyball has a quality like no other. Unlike waiting for a glow in the dark Volleyball to charge under light our smart LED bulbs are bright & instant! IMPACT ACTIVATED: The Entire Ball Illuminates from the inside creating a intensely bright glowing Volleyball then shuts off automatically when not in use. DURABLE QUALITY: Our Volleyballs are well made and perfect for night games, get ready to be Amazed! Also made to be fully water resistant for those night beach games! BATTERIES INCLUDED: Ready for use, just fill it up with air and prepare to be amazed! Our pre-installed Smart LED you will be ready to play. Batteries are also Replaceable for continued use. 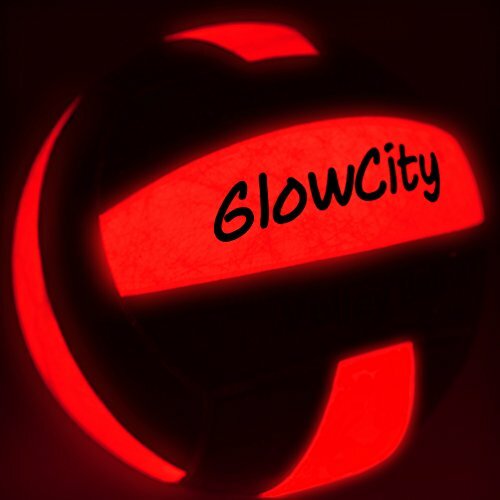 CUSTOMER SERVICE GUARANTEE: GlowCity Takes care of their customers and we Offer a 60 day no hassle repair or replace guarantee if anything goes wrong or stops working with your Volleyball! 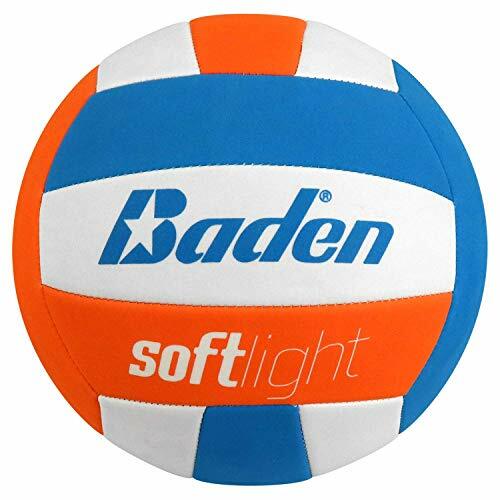 Molten's MS240 Light Touch Volleyball is a lightweight indoor/outdoor volleyball designed for young athletes, age 12 and under. 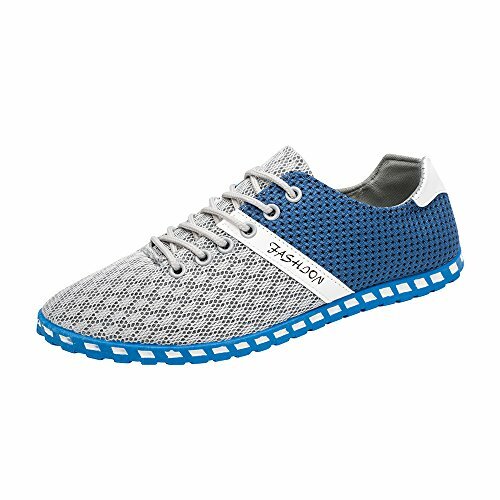 The ultra soft cushioned polyurethane cover provides a soft touch, allowing young athletes to play comfortably while providing the durability needed to withstand play in any environment. *Ball ships deflated. 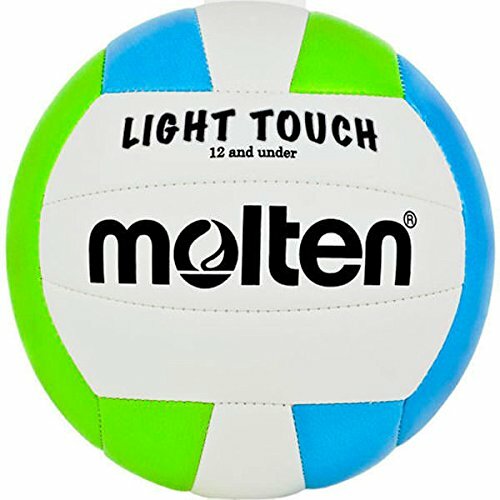 Molten's MS240 Light Touch Volleyball is a lightweight indoor/outdoor volleyball designed for young athletes, age 12 and under. The ultra soft cushioned polyurethane cover provides a soft touch, allowing young athletes to play comfortably while providing the durability needed to withstand play in any environment. 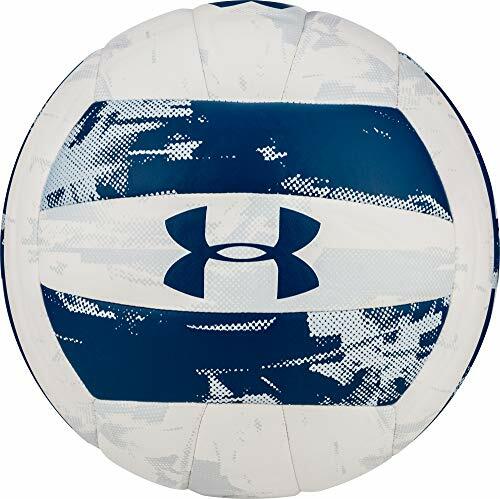 Inspired by volleyball traditions for decades, this official sized 18-panel synthetic leather ball is ready for play. 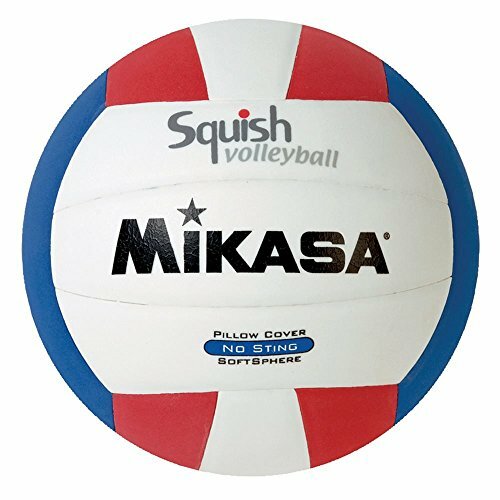 Durable construction and butyl rubber bladder, this official size volleyball provides a great value for the recreational player. Experience a game of volleyball the way it was meant to be played with the Sports Volleyball Net! The net itself extends 3 feet high and contains 4 square eyelets for securing with the connection ropes. Great design with multiple uses for indoor and outdoor both. Volleyball net with coper cable reinforced polyester netting.It came with the strings on it for extra tie down to stay in place parks, easy to put up. Black twisted knotted polyethylene net. 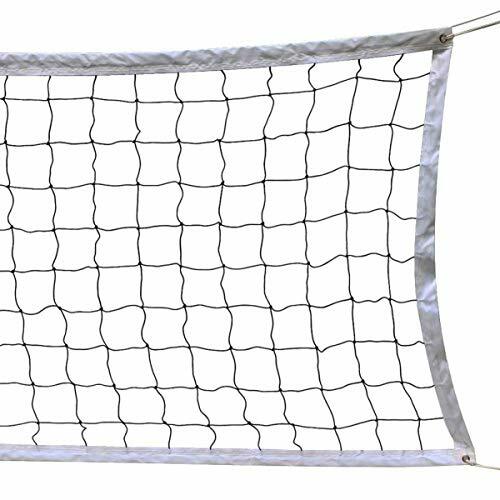 It is sturdy, pretty heavy duty net,anywhere you can play for volleyball or pickleball on sandbeach, public park,home pool or indoor sport ground. Question:Does this come with poles to set it up outside? Answer:This is just the net and ropes to hang it. Does NOT come with Posts or base. This is net to set it up where there is already posts. Like a volleyball court. We use it at a beach volley court and it works really well. The upper rope / tensor made out of stainless steel is a great thing since you can put it tighter and it does't break. Question:How's the recoil on the bottom of the net? Answer:You can use this net to connect to standard poles. Question:What are some ideas for hanging this up? Would like to set it up at any park, but how can I hang it up? The Softlight Youth Volleyball is designed especially for young volleyball players just learning the game. The soft, no sting foam cover and lighter than regulation weight makes it easy to teach proper volleyball technique. 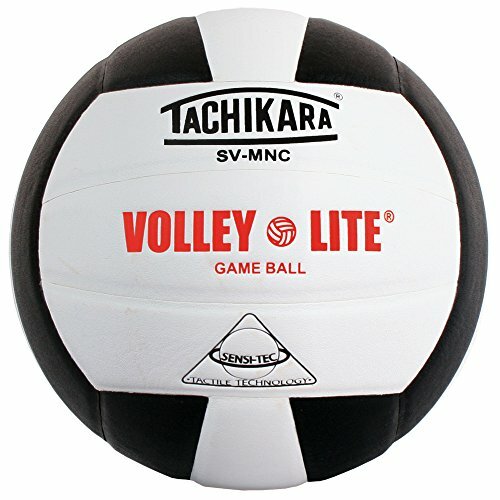 This volleyball is lighter than a normal volleyball making it the best volleyball training aid for children learning the game. Features a textured cover for a soft touch and a cloth-wrapped rubber bladder for energy. Recommended for outdoor play. The size mark on the shoes is Chinese size. This Asian size is smaller than American size,Please check the SIZE CHART before ordering and ordering larger size than you normally wear. If you have any problem about our items, Please send message to us,We will try to our best service to resolve your issues. WEUIE mainly sell Clothing and Shoes.EnterWEUIE Camisole/WEUIE Tops/WEUIE T-shirts/WEUIE Jumpsuits/WEUIE Swimsuits/WEUIE Dress/WEUIE Pants/WEUIE Jeans/WEUIE Shorts/WEUIE Sandals/WEUIE Flats Shoes/WEUIE SneakersWEUIE Pumpsin the search bar to see more of the Women's clothing/shoes/bags. Occasion: Suitable for casual daily wear, shopping, office work, house wear, party, club, school, holiday, beach, dates, etc.